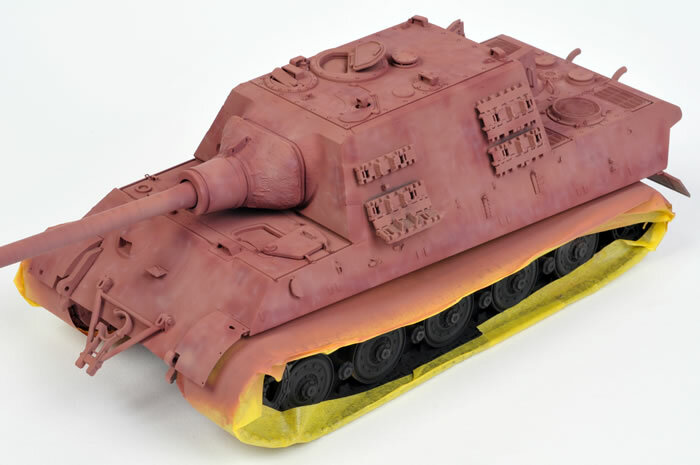 Tamiya's new 1/35 scale Jagdtiger is proving to be a very popular kit. 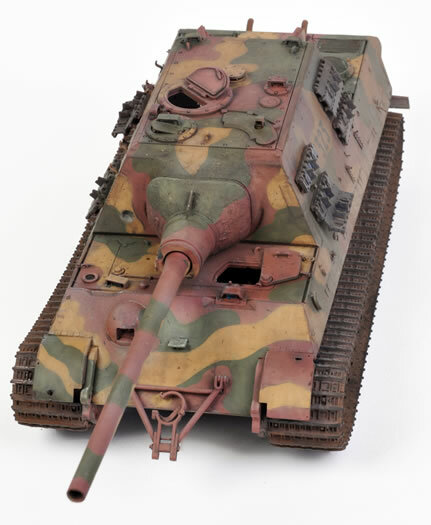 The configuration and finish of my model is based on photos of the abandoned Jagdtiger 323 from various angles in the excellent Combat History of Schwere Panzerjager Abteilung 653 by Karlheinz Munch (page 498), and the Japanese Ground Power No. 17, WWII German Military vehicles 6 (page 12). I decided to start the paint job with a coat of primer pink. This was followed by a hard-edged disruptive camouflage scheme of Dark Yellow and Dark Green. 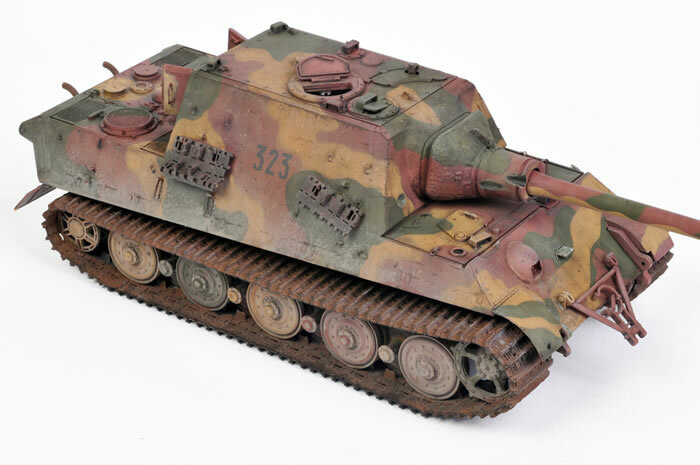 Tamiya's Jagdtiger was a real pleasure to build, and it was fun to experiment with some new (for me) weathering techniques. Full details of construction and painting of my Jagdtiger will appear in a future issue of Model Military International magazine.